Women returners: Back to your future: Is "having it all" a myth? Is "having it all" a myth? Sandberg has dismissed “having it all” as a myth: "Having it all is the worst. No matter how much we all have and how grateful we are for what we have, no one has it all, because we all make trade-offs every single day, every single minute". 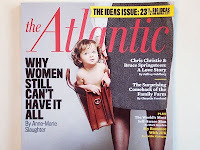 This echoes the theme of Anne-Marie Slaughter's 2012 article "Why women still can't have it all". It's easy to become disheartened as a woman returner, thinking that if these high-achieving women can't make it work, who can? In fact these comments say more about our confused definitions of 'having it all' than about whether anyone can be a fulfilled working parent. 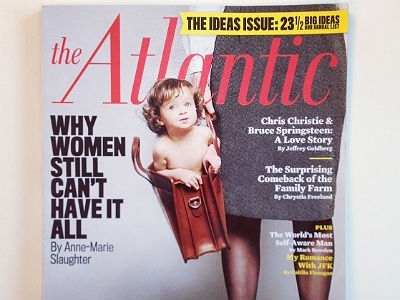 ‘Having it all’ originally meant motherhood + career. Now we’re equating it to being at the top of the career ladder and the perfect hands-on parent (and not making trade-offs!). Who set this impossible bar? In fact, Anne-Marie Slaughter continued to work after she left her senior government job, returning to her academic job at Princeton University to have more time for her two teenage sons, and she has recently become President of the New America Foundation. In the UK, Penny Hughes who resigned as president of Coca-Cola when she started a family has developed a successful portfolio career as a non-executive director. And away from the headlines, I know many professional women (and men) who feel they have fulfilling careers and family lives. Most are not working at the highest level (only a few exceptional people like Sandberg can manage that), but they are happy with the trade-offs they have made, seeing them as positive choices to have time and energy for their personal life. This sounds close to ‘having it all’ to me. Leaning In or Hanging On?